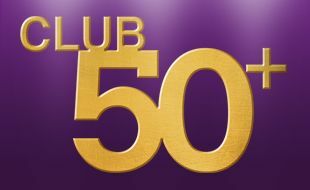 Club 50+ is open to all Rewards cardholders. Enjoy a light meal and have some fun on your favourite slots machine with your R20 FreePlay. You will also receive a FREE draw ticket for each of the draws at 10h30 & 12h00 where you stand a chance of winning a share of R6,000 in cash. Purchase your package at the main cash desk (opposite Barney’s smoking casino) for only R40. Once you make your purchase, your free draw tickets, meal voucher and R20 FreePlay will be available at the eHost. Club 50+ ticket sales open from 08h00 until 10h15. When are the weekly cash draws? This promotion is open to all Gold Reef City Rewards cardholders. Qualifying guests can enter the draw by purchasing their package at the Main Cash Desk between 08h00 and 10h15 for the 10h30 draw. Ticket sales will open again immediately after the 10h30 draw until 11h45 for the 12h00 draw. The package can be purchased for only R40. Once a guest has purchased a package at the cash desk, he/she must print their vouchers and draw tickets at the eHost. Guests will be required to redeem their meal vouchers at Steers or Debonair’s. Vouchers are only valid from 08h00 to 12h00 on the day. Participants must deposit their draw ticket in the entry bin provided to be eligible for selection during the live draw. Guests will be required to choose an envelope to determine their prize. Guests must produce their Gold Reef City Rewards card and positive and acceptable form of I.D. for verification purposes. All Participants are required to be present at the live draw on the respective dates/times to be eligible for a Prize: Provided that if a participant elects not to be present in person when the winner/s are announced, the participant may nominate another person who has been duly authorised in writing to attend the draw on behalf of a participant in the form and manner determined by management, the details of which will be available at the Customer Service Desk. Prescribed proxy nomination forms will be available for this purpose from 08h00 on the day of the draw until 15 minutes before the start of the draw for which the proxy is to be nominated. Proxy nomination forms will be available at the Customer Service Desk. Prize winners and proxy’s who are present will be given 90 seconds to present themselves and must be in possession of evidence of the winning ticket and must produce positive and acceptable form of identification. Authorised representatives shall not be entitled to any prizes and shall not take receipt of prizes accruing to the Participants they represent. Should the prize winner or authorised representative not present themselves within 90 seconds, a re-draw will take place. Should a prize winner who is eligible for a prize but who is not present as a result of declining an invite to be present for the draw, the casino shall take all reasonable steps to contact the prize winner via the contact details provided in the register or otherwise readily available. In such circumstances the prize winner may within 15 days of the draw claim the prize. Copies of these rules are available at the customer service desk upon request.